WildLights is now closed. Thank you for another great season! Seattle's wildest holiday lights festival returns with sparkling lights, faux snowball fights, up close animal encounters, hot chocolate and family delights. Experience brand new wild and wonderful light displays that will be featured throughout the zoo including a holiday light spectacular at the zoo’s south entrance which will now be open throughout the run of WildLights. 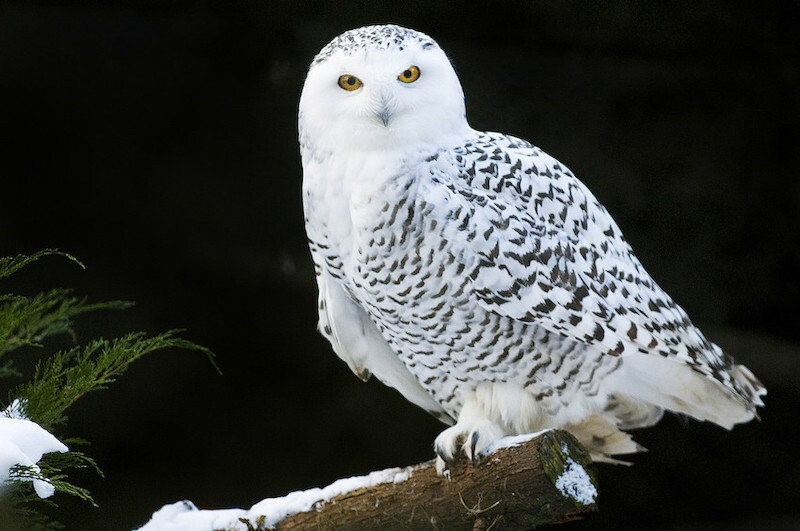 Experience a winter wonderland at Woodland Park Zoo’s annual WildLights! 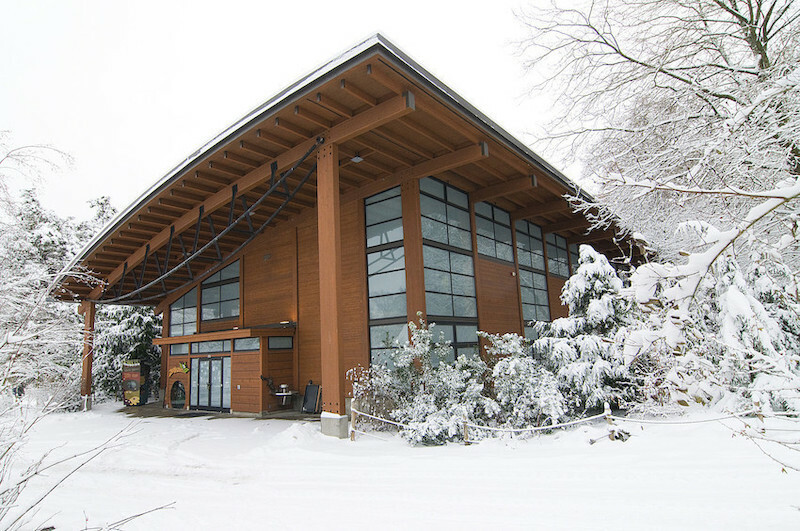 Enjoy one of our unique indoor venues, suitable for groups of 20-400, for your holiday gathering this year. Purchasing 20 or more tickets? 10% discount when purchasing 20 or more tickets, valid only for tickets purchased between 12/14/18 and 1/5/19. Guests 21 and older can enjoy a selection of beer, wine, mulled wine and spiced hot cider while cozying-up under the covered space. Open every night. Guests of all ages can fill up with food options including a hot bowl of chowder and pizza. Keep warm with winter favorites including hot chocolate and fresh, hot donuts. 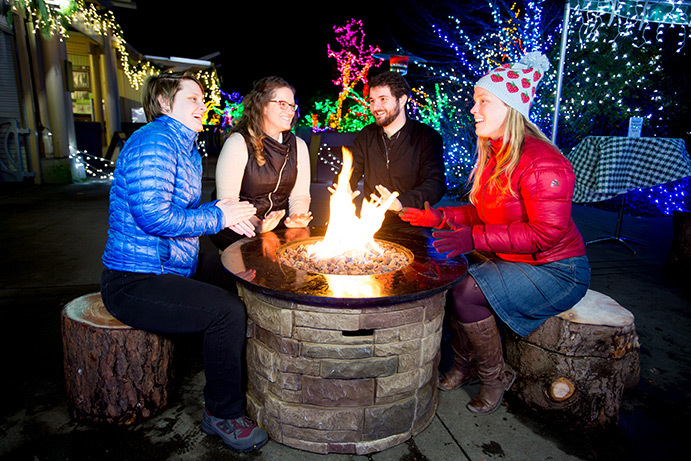 Plus, enjoy the toasty heat of the WildLights fire pits. While the zoo’s animals will be tucked in for the night, select indoor exhibits will be open to explore, such as the Adaptations Building, home to meerkats and nocturnal animals such as sloths and fruit bats. Check the calendar for additional ambassador animal encounters on Fridays through Sundays. More than 700,000 energy-efficient LED lights recreate wild animals and wild places in two and three dimensions along the zoo’s pathways and North Meadow. Don't miss out on the most unique gifts you can find for the animal lovers in your pack! Pick up nature-inspired holiday decor and gifts for all ages at the ZooStore. Family winter fun! Build a snow creature, hear a snow story—and watch out, a snowball fight can break out at any time! The zoo will transform into an enchanting world, brilliantly lit with more than 700,000 bright and colorful lights–Lumos! We’ll have something for everyone with wand making, animal glitter tattoos and a herbology class! Channel your favorite character and come dressed in style, whether that’s a wizard, witch or everyone’s favorite half-giant. You didn’t think we’d forget about the magical creatures, did you? Visit the Alvord Broadleaf Theater from 6:00 – 8:00 p.m. to see Woodland Park Zoo’s very own magical creatures take center stage for the evening. If you’re lucky, you might even see an owl! Come celebrate Galactic Lights at WildLights on January 3, 2019! 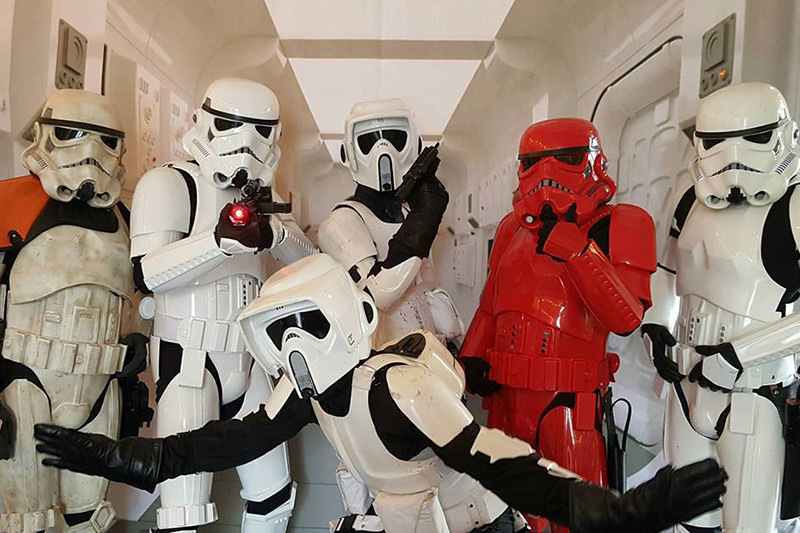 The zoo is including an out of this world theme night with characters from a galaxy far, far away, including an unforgettable nighttime lightsaber performance from Saber Guild Jet City Temple! Tickets can be purchased online at www.zoo.org/wildlights beginning Nov. 1, 2018. Tickets may also be purchased at zoo gates during regular zoo hours and during WildLights hours. Guests are encouraged to purchase tickets online to avoid lines. Will an admission discount be offered for active, retired, and veteran U.S. military and their families, seniors and people with physical disabilities? No. Since WildLights is a special fundraiser event, an admission discount will not apply. Are online tickets purchased for WildLights redeemable for any evening? Tickets purchased online or at zoo gates for WildLights will be sold on a general admission basis and can be redeemed on any single evening. 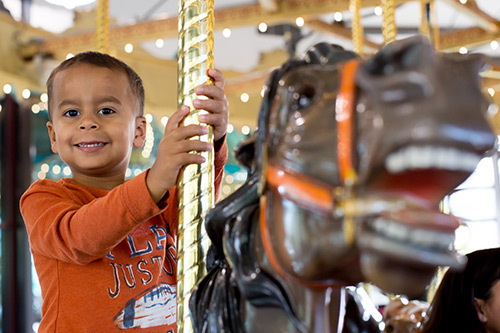 Members receive a $2 discount off adult tickets for purchases made through Dec. 13, 2018. Discounted tickets may be used on any night of the event. Members can receive this discount online through the special membership link that will be emailed to them, or at a ticket window with a valid membership card. What if it rains? Are there ticket refunds? Sorry, WildLights is a rain or shine event—there will be no ticket refunds. Tickets purchased online can be used on other evenings. However, members and corporate discount guests need to purchase their discounted tickets 12/13/18 or prior. Festive snacks will be available for purchase at the Pizza Corner at the Rain Forest Food Pavilion, and at the Pacific Blue Chowder House where covered seating will be provided. Food kiosks will also be dispersed throughout the pathways. The inside of the Rain Forest Food Pavilion will be closed during WildLights for group events and holiday parties. Can visitors bring their own food to WildLights? Yes, like ZooTunes concerts or a daytime visit to the zoo, visitors are permitted to bring their own food to WildLights. Outside alcohol is prohibited. Will guests need to pay for parking? Parking will be free this year after 4:30 p.m. All parking lots will be open and available to the public as both entrances will be open for entry this year. Will both gates be open for entry to WildLights? Yes, entry to the event will be available through the West and South Entrances. Cross streets: Phinney Ave. N. between N. 55th and N. 56th St.
Cross streets: N. 50th St. and Fremont Ave. N.
Do you have ADA parking close to the entrances? We do have ADA stalls located close to both entrances. They tend to fill up, so if you have a member of your group with mobility challenges we recommend coming early to park as close as possible to either entrance. Will shuttle service be provided from any Park & Rides? Sorry, we cannot provide shuttling from Park & Ride locations, however, we do encourage guests to consider taking the bus or carpooling. For bus service, visit www.metro.kingcounty.gov. Metro Route #5 provides direct service to and from the zoo’s West Entrance. If you’re already visiting the zoo, can you remain on grounds for WildLights? Sorry, but WildLights is an after-hours ticketed event. The zoo closes at 4:00 p.m. during the winter and visitors will be cleared off grounds before the West Entrance re-opens at 5:30 for the event. Will strollers be permitted at WildLights? Yes, strollers will be allowed along the open pathways for the event, with the exception of the Snowmazium due to limited space. There is designated stroller parking for those areas. Like Woodland Park Zoo - ZooTunes and Events for contests, exclusive event and concert updates, and more.